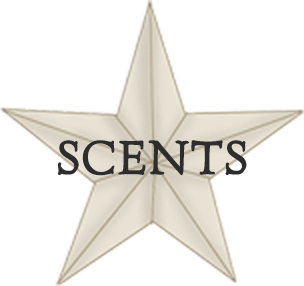 Candles by Victoria - Highly Scented Candles & Wax Tarts - CBV Candle Care - Because we care! CBV Candle Care - Because we care! Please read all information below, by checking the box prior to checkout you are confirming that you have read and understand our candle care information. Few things are as captivating as the soft glow of a candle. There is an art to burning a candle properly and safely, following a few simple rules will provide you with hours of enjoyment. The key to a perfect burning candle is not only in how it is made but also in how it is burned. Never allow any candle to burn longer then 2-4 hours depending on the diameter of the candle container, we recommend not more than 1 hour of burn time per inch in diameter, your melted wax pool should never be deeper than 1/2 inch without extinguishing that candle, allowing it to cool completely, trimming the wick, removing any wick debris and then re-lighting your candle. Keeping your wicks trimmed will extend the life of your candles and reduce any smoke or soot. Wax does have a flash point and when it is reached due to extended burning times it can flash and catch fire. Never use water to put out a wax fire, if you don't have a proper fire extinguisher nearby, use baking soda, sand or flour to extinguish the flames. 1. Always use extreme care when burning candles! 2. Always trim your wicks to 1/8 - 1/4 inch prior to the first burn. 3. Please keep your wicks trimmed and maintained to 1/8 - 1/4 inch. Trim wicks and remove all wick debris before lighting each time. 4. Keep your wicks centered at all times. Long or un-centered wicks can cause uneven burning and possible jar cracking. 5. Candle containers will become HOT, please handle with care and place ALL burning candles on a heat resistant surface or heat safe plate. 6. Keep all candles out of the reach of children and pets! Do not place lit candles where they can be knocked over by children, pets or anyone else. 7. Never burn candles near anything that can catch fire. If your candle comes with decorations, i.e cinnamon sticks, raffia, etc. Please remove prior to burning! 8. Always leave 1/2 inch of unburned wax at the bottom of each container to keep from cracking containers and debris from igniting. This is really important with our more decorative candles. 9. Always burn candles away from drafts and air currents, this will help prevent rapid uneven burning and avoid flame flare-ups and sooting. 10. NEVER leave a candle burning unattended!! Always keep a burning candle within sight!! Extinguish all candles when leaving a room or before going to sleep. Any of our decorative type candles that are above the rim of the container will flow over during the initial burn, please set these types of candles on a heat safe plate. You can use the overflow wax in your warmers, you can also remove the wax embeds prior to burning and melt those in your warmers. Remove all non wax decorations from candles prior to burning, ie, straws, ribbon, etc. My candle has been burning for several hours and I can see smoke coming from the wick. Why is that? This means that the candle has been burning too long. You should extinguish the candle, allow it to cool, and trim the wick to ¼”. The wick needing to be trimmed usually causes smoking. This is also the case if you just lit a candle and see it smoking or “popping”. If your wick is already trimmed to ¼”, check to make sure that your candle is not being burned in a draft. Many different things can cause this. A/C vents, ceiling fans, windows and even doorways can create a draft, and can cause your candle to not burn properly. After burning my candle, it has a mushroom type head on the wick. What is this? This is a “fragrance mushroom”, which is found in highly fragranced candles. This must be removed before relighting the candle by trimming the wick to 1/4 - 1/8 inch and by removing any of the mushroom head and debris. Please remember to allow the candle to completely harden & cool before attempting to trim the wick. How can I make my candles last longer? Trim the wick! Trim the wick! Trim the wick! And did we forget to mention, that you need to trim the wick? Here’s how it works: Wax is the fuel that a flame needs to continue to burn. As the wax melts it travels up the wick and is used up. The bigger the pool of melted wax, the more fuel the flame has. The flame continues to grow because it’s supply of liquid wax keeps getting bigger. The larger the flame gets, the more fuel it consumes to keep burning. When you trim the wick, you are in essence trimming the size of the flame, with a smaller flame the wax will last longer. Trimming the wick every couple of hours can make your candle last up to 25% longer. Don’t “overtrim” the wick. There should be about 1/4 - 1/8 of the black part of the wick sticking out above the candle. Look at a ruler and really see what a quarter of an inch looks like. If the wick is trimmed too much the flame will be so small that it might not recover and begin to consume the wax, it will just go out. If this happens, just light it again, let the wax pool for a few minutes and then dump out the liquid wax that forms around the wick. This will make the wick stick out more and the candle should recover. Make sure your wick is trimmed to between 1/8″ – 3/16″ before lighting. If the wick is too long, the wax will not pull up the wick and the wick will extinguish. Wooden Wicks do need a little attention and tending to before each burn. Be sure to gently snap off the ash or burnt wood along the top edge of the wick and then light as usual. If when burning the candle for a long period of time you notice the flame height getting too low, it may be necessary to tap off any excess ash or burnt wood along the top of the wick. The flame will then return to its proper optimal height. Be very careful not to let any debris from the wick (or anything else!) fall into the candle. Extinguish candle when ½” of wax is remaining. Do not burn candle more than 3 hours at one time. Allow your wood wick candle to burn to the edge prior to extinguishing the first time, this allows the candle to set it's "memory" and prevents your candle from forming a "canyon" or stair step effect. A well-made candle should not soot or smoke when burning properly. However, noticeable smoking will occur whenever a candle's flame is disturbed, which allows unburned carbon particles (soot) to escape. In fact, any candle can be made to smoke by causing the flame to flicker. To minimize candle flickering, trim the wick to 1/4 - 1/8 inch before lighting, and place burning candles away from vents, drafts and other strong air currents. It might also be necessary to trim your wick again immediately after the first initial lighting. Did you know that a candle has a memory? When burning a candle for the first time, it's suggested that you burn it one hour for each inch in diameter. This will allow the pool of wax to extend to the outside and will prevent your candle from forming a "canyon" in the center. Burning a candle this way will also set it's memory it will 'remember' to burn to it's edge. 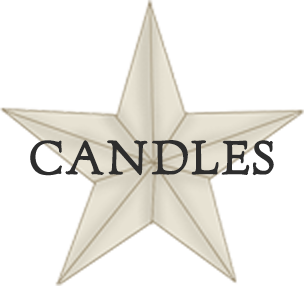 Here at Candles By Victoria we pour your candles to order, we never pull anything off the shelf, everything is made fresh to order just for you. Deb, a former employee use to say "we are like the Burger King of candle companies, you order it and we make it up fresh!" Once a candle or tart "sets up" it looks finished, but there are still changes happening within the molecular structure of the wax that the eye cannot see. The wax and fragrance need time to bond to each other and truly transform. Just like a fine wine gets better with age, our candles and tarts will get stronger with age. We recommend a minimum of 7-10 days of cure time. What this means to you is, if you order your CBV goodies on a Monday and we pour them on Tuesday they will ship out to you on Tuesday, depending on how long that order takes to arrive to you is how long of a cure time that wax has received. Most orders take 2-3 business days to arrive to the customer once they leave our store, which puts those candles or tarts at about 4 days "cure time". Cure time we find is a very personal thing, if it smells strong to your nose, that candle or tart is perfectly cured, if it doesn't seem quite strong enough give it a few more days to cure. Disclaimer: Candles By Victoria is NOT responsible for damage or injury due to lack of care and attention when burning our candles. Candles By Victoria shall not be responsible for any injuries, damages or losses of any kind due to your use of any product purchased from Candles By Victoria. In any case, our maximum liability to you is the amount you paid for the product. Your purchase from Candles By Victoria signifies your acceptance of the aforementioned information and policies.